Five deaths and 16 near-strangulations from Roman shades have been reported since 2006. The government and the window covering industry on Tuesday recalled more than 50 million Roman-style shades and roll-up blinds because of the risk children may be strangled by the cords. 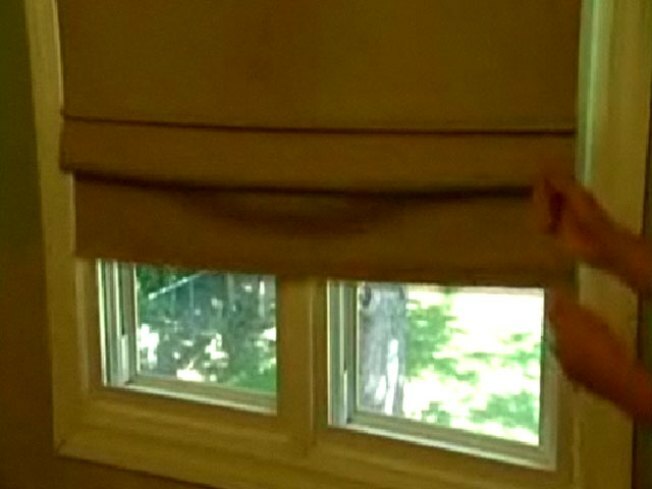 Roman shades can become dangerous, the CPSC said, if a child's neck gets stuck between the exposed inner cord and the fabric on the backside of the blind, or if the cord gets wrapped around a child's neck. Roll-up blinds pose a strangulation threat if the lifting loop slides off the side of the blind and a child's neck becomes entangled on it, or if a child neck's gets between the lifting loop and the roll-up blind material. The commission and the industry urged parents to examine all shades and blinds in the home and make sure they have no accessible cords. They also advised parents not to place cribs, beds or other furniture close to windows because children can climb on the furniture and reach the cords. Cordless window coverings are recommended for all homes where children live or visit. Several major retailers, including Wal-Mart, JCPenney and Pottery Barn, are also participating in the recall. But the government is wrapping the recall with more, saying the window blind industry needs to step up with a better design; one that regulators may make mandatory. That's good news for mothers like Linda Kaiser of Elgin, who runs a Web site, Parents for Window Blind Safety. "Cords kill kids," said Kaiser, who lost her daughter to a window covering. "There is no way to make a Roman Shade safe." Consumers can obtain free retrofit kits for Roman shades and roll-up blinds online at www.windowcoverings.org or by calling the Window Covering Safety Council toll-free at 1-800-506-4636.